How do you do this!? 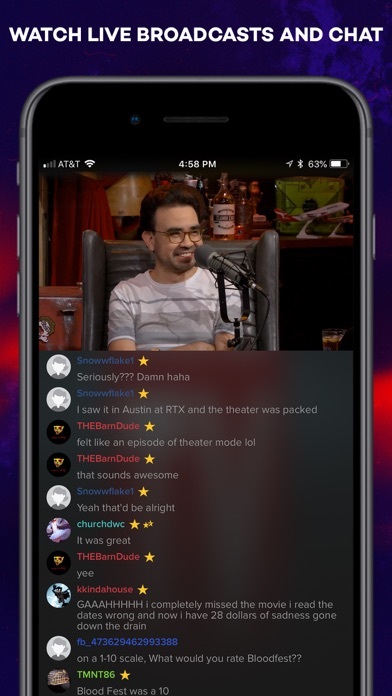 I love Roosterteeth. Been watching their stuff for years. I’ve even been a First Member for over three. Here’s my gripe. Shows are starting to not work like Sonic for hire. It just refuses to play on the iPhone app. It plays fine on the Xbox but not the IPhone or Apple TV app. 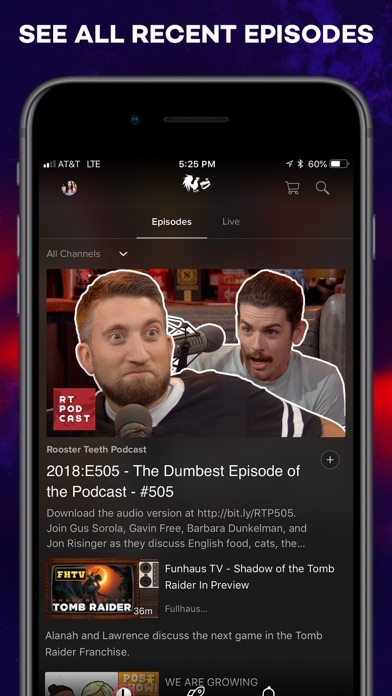 Speaking of the Apple TV app it barely shows a 1/4 of the available episodes or shows before hard stopping making it frustrating to find anything with out searching for it and even then it hard stops after a handful of results. 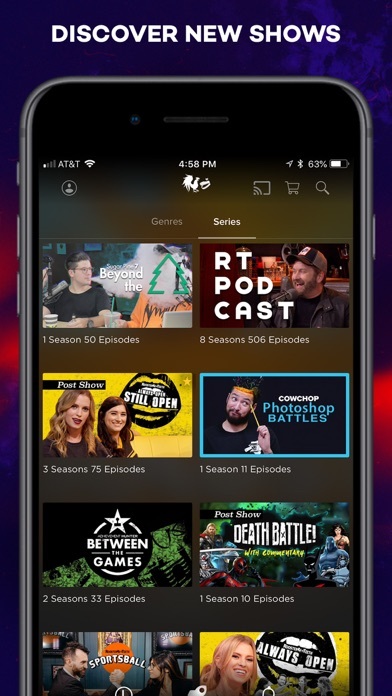 I literally have to use the app on my phone and display it on my Apple TV when I want to watch Roosterteeth stuff and before you gripe to me about watching it in a web browser, there isn’t one on the Apple TV. I’m finding myself going back to using YouTube rather than using these apps. Oh yeah. 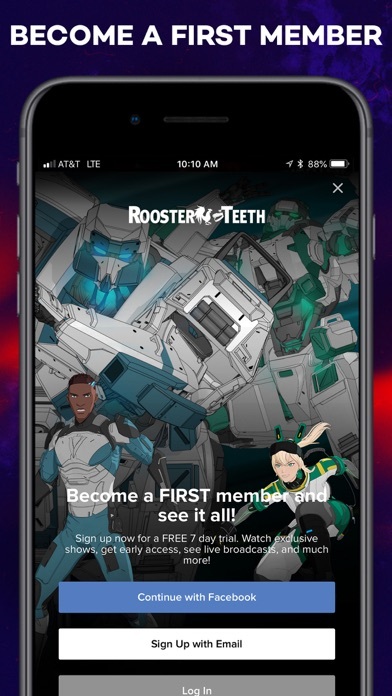 Emailed Roosterteeth support. Told me to leave a review on iTunes. Come on. 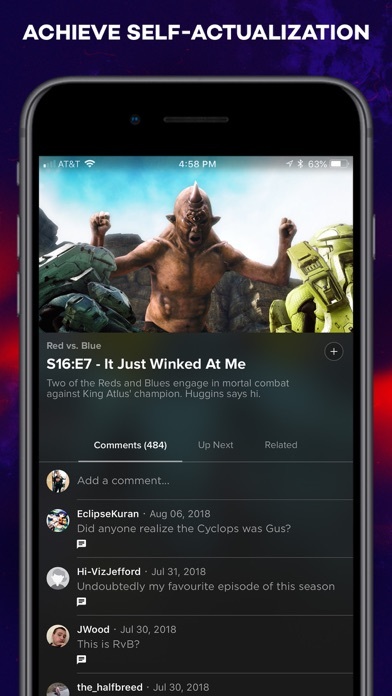 You honestly can’t talk to your App team? Pathetic. Love this on my phone got a new iPad and realized it's only for iPhone displays. Great community interface work design just gimme a dedicated iPad app. Until then the chrome app will do.